During the evening of 15 January 2019, Eyes on Animals followed an empty turkey truck from company Mantrans. The truck was on its way to a farm owned by Raaijmakers where turkeys were due to be caught and loaded for slaughter. Our goal was to observe this process and give advice on reducing stress, pain and possible injuries caused by the catching and loading process. Unfortunately Raaijmakers did not give us permission to access their facilities. 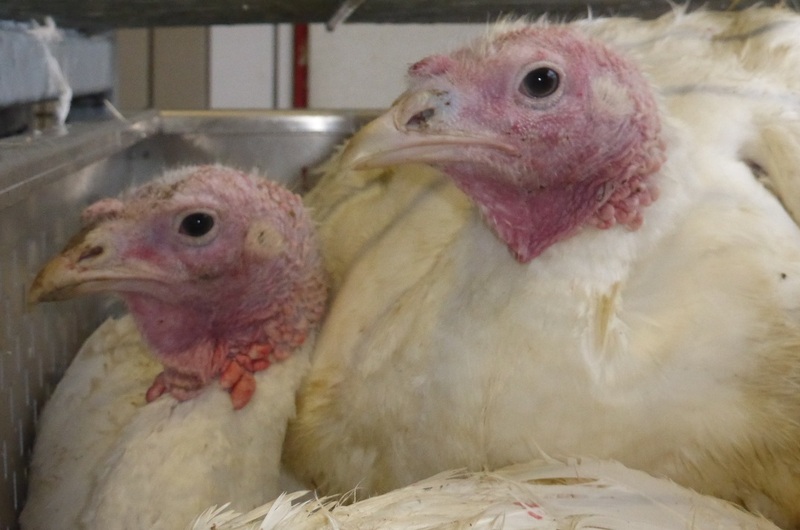 We hope Raaijmakers will invite Eyes on Animals to their facilities in the near future to give advice on bird welfare when catching and loading turkeys.